Barbra Streisand in Montreal or Quebec City? Inform me about the next events for Barbra Streisand. Enroll yourself to our priority waiting list for Barbra Streisand to be alerted when new tickets are available. Filling this form doesn't engage you to any purchase. 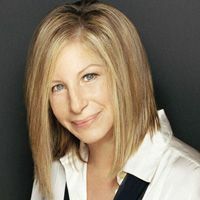 Barbra Streisand will be performing at the Bell Centre, in Montreal, on October 17, 2012. This concert is part of a Canadian tour. The American singer and actress will be performing most of her hits, including cuts from her latest record, her 33rd studio album What Matters Most. The last time Barbra Streisand visited us was in October of 2006. Don't miss the great Barbra Streisand in Montreal this fall!